Christina’s fast rise to real estate sales success can be traced to her diverse cultural journey. She was born and raised in the Philippines where societal complexities and exposure to poverty instilled the qualities that shine through immediately with both buyers and sellers – courtesy, respect, sensitivity to customer needs and a work-ethic that is second to none. After earning a bachelor’s degree from the University of the Philippines, Christina moved to the United States and began working as a patient/clinical care coordinator in the healthcare industry. Her deep family values, positivity and upbeat personality helped her to assimilate with ease, while building an outstanding reputation as a compassionate caregiver for more than 10 years. Christina decided to shift her profession and pursuit of a career in sales. Real estate proved to be the perfect decision. In her first year as a realtor, Christina received the Century 21 Award “Real Estate Rookie-of-the-Year” award. Since then, Christina has steadily increased her client base. 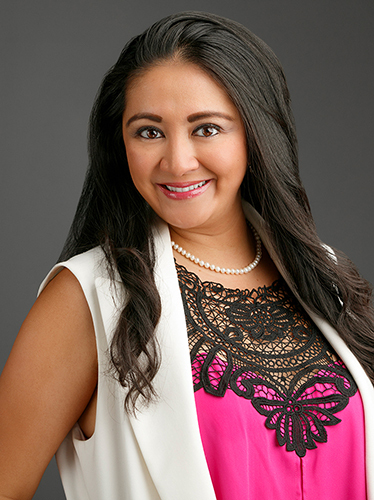 As much as Christina loves being a realtor, she strongly believes that life is about balance. She enjoys spending quality time with family and friends, especially her husband and two-year-old son. Christina is an avid traveler, fitness enthusiast and loves spending time outdoors. "We had a wonderful experience with Christina. She SOLD our house in ONE DAY and found us our dream house. Christina was there to support us every single step of the transaction. We couldn't find a better agent like Christina and never had an experience with an agent who works as hard as she did especially with very picky clients like us. Christina is "THE TIGER" and will always fight for her clients. She did a fantastic job!! We really appreciate all her help and would highly recommend her to anyone."